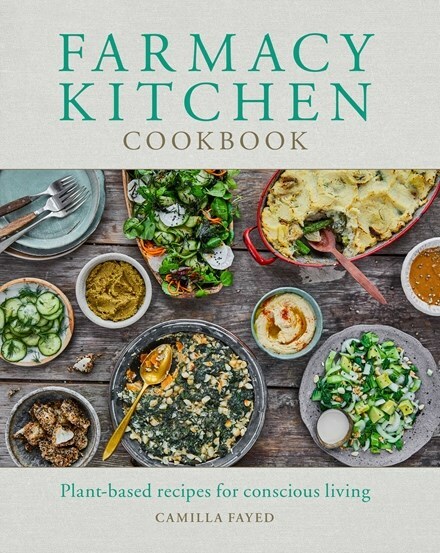 Farmacy Kitchen Cookbook by Camilla Fayed ($39.99), published by Hachette Australia. To make the chia pudding, blend the nut or seed milk with the honey (if using) and vanilla extract in a mixing bowl. Stirin the chia seeds until well combined. Soak until the seeds have absorbed all the liquid and become gelatinous. This mixturewill keep for 3 days in a sealed container in the refrigerator. To make the yogurt blend all the ingredients together in a highspeed blender until well combined. To assemble, put a layer of strawberry slices around the edge of the base of the jars and add some yogurt. Spoon a layer of chia pudding on top of this. Finish with more strawberry slices, the bee pollen (if using), coconut chips and flaked almonds. 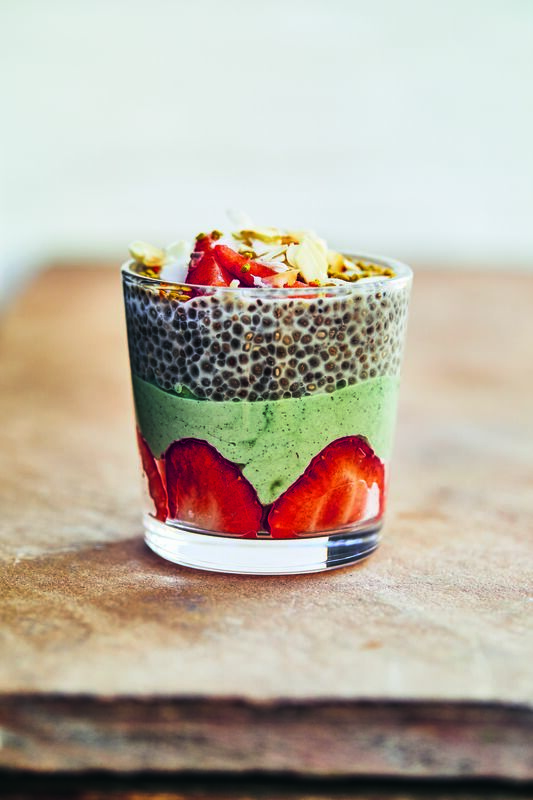 This entry was posted in Cook Books, Food and Drink, Recipes, Uncategorized and tagged breakfast, chia pudding, gluten free, raw food, strawberries, with vegan options. Bookmark the permalink.